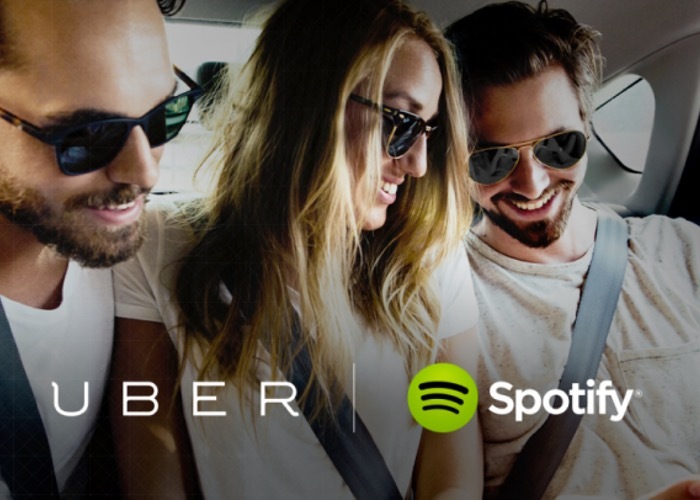 After rumours were circulating that Spotify and Uber word partnering to provide customised music whilst in your taxi. It seems that Spotify has today confirmed the partnership and the impending launch of the new feature of via a blog post that was published and then pulled from the Spotify website. Details about the new partnership revealed that the service will be launching incompatible cars on November 21st 2014 in 10 cities around the world including: London, San Francisco, Los Angeles, New York, Mexico City, Nashville, Singapore, Stockholm, Toronto and Sydney. To be able to listen to customise music whilst in your taxi ordered using the Uber service you need to link both accounts via the Uber smartphone application. However you will also have to be allocated a Taxi that is Spotify-embaled for the music service to work seamlessly. News of the new feature and partner ship is expected to be unveiled by Uber CEO Travis Kalanick is hosting a global press call at 3PM GMT today. As more information is unveiled about the service we will keep you updated as always. When the announcement has been officially made you can expect more information to be made available over on the Spotify website here.